If a city or town has a canal, then invariably they may also have a lovely gondola. 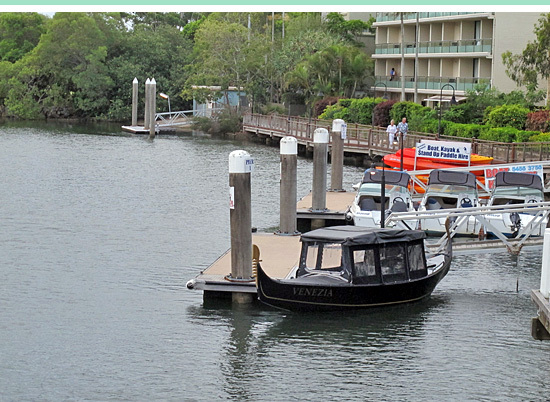 This one was spotted in Noosa recently, just before the rains came down. Doodlers seem to like beards, often drawing big bushy ones on the faces of beautiful women. In moments, a celebrity's stunning face can morph from drop-dead gorgeous to hideously hairy. But not all beards are bad, with some styles suiting their new owners to a T. No New Idea's cover shows Fergie with stubble, in this case clashing dreadfully with her necklace. Pass the razor. 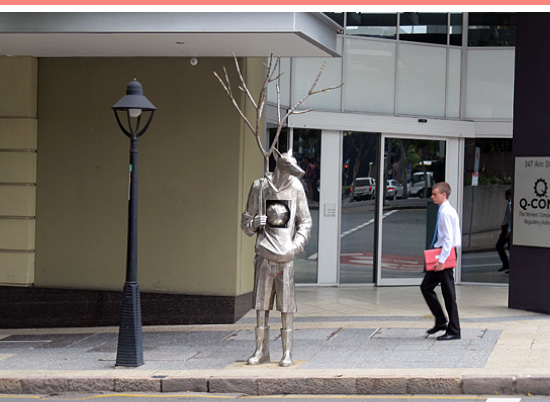 One of the best things about Brisbane — and there are many terrific things — is the wide array of fantastic street art, seemingly at every turn. On the outskirts of the city centre, this lone wolf gets my vote for best sculpture. The first coffee of the day was sipped in a friendly Montville bakery, accompanied by a delicious almond and raspberry tart. 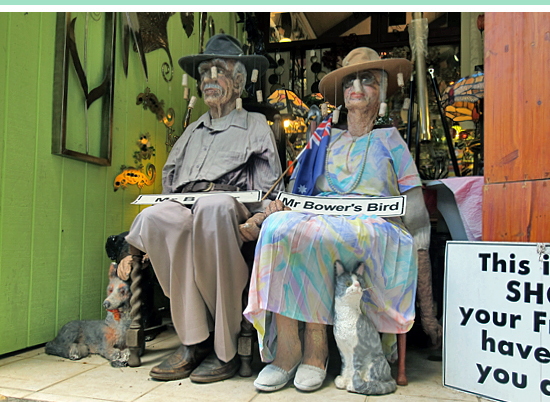 Mr and Mrs Bower (above) welcomed passing tourists, no doubt keen to see all manner of arts and crafts created by local artisans. On the street below, tarot card readers trotted out their predictions to anyone willing to stop. From high on the hill, a spectacular vista of the Sunshine Coast awaited those willing to get off the well-worn tourist track. It's Australia Day. For some a day of celebration, for others a day of hibernation. Across the country men wear board shorts and thongs emblazoned with the Australian flag, some people bake in the sun while others drink themselves into oblivion. 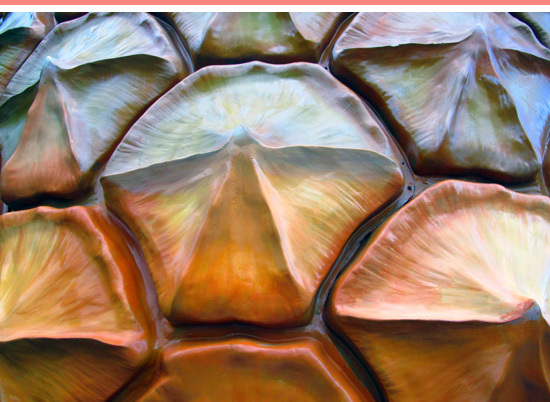 Welcome to Australia, a land of curious cultures. 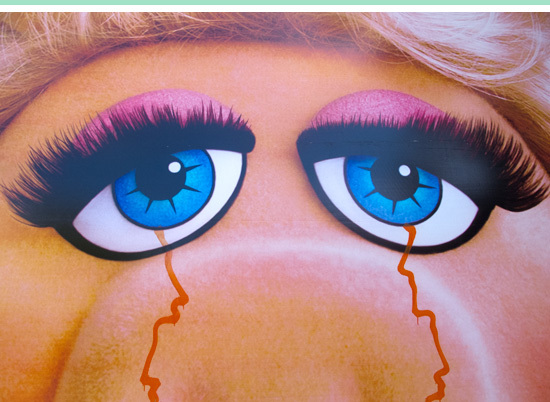 The Muppets are back, and it didn't take too long for someone to take to Miss Piggy with a pen. Red eyes are often apt in Surry Hills though, late nights are a given. 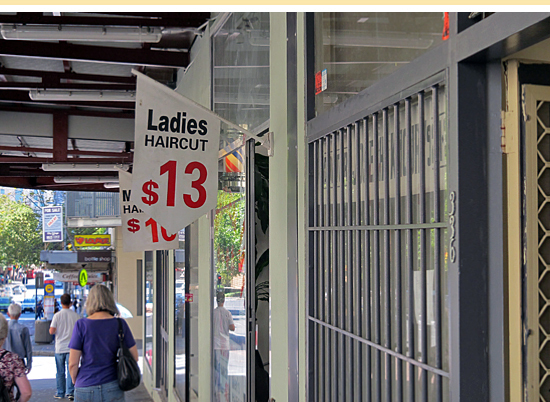 On a Surry Hills street corner I overheard, as did most people nearby, a couple arguing. The man raised his voice to the woman and said something to the effect of: "Why did you talk to them? Did you forget we hate them?" Board games are an essential part of Midweek Social, and one of the more fun parts of bringing the event together is scouting for games and prizes. Sometimes surprises await in the games, like this drawing on the flip side of the Bullwinkle game board. 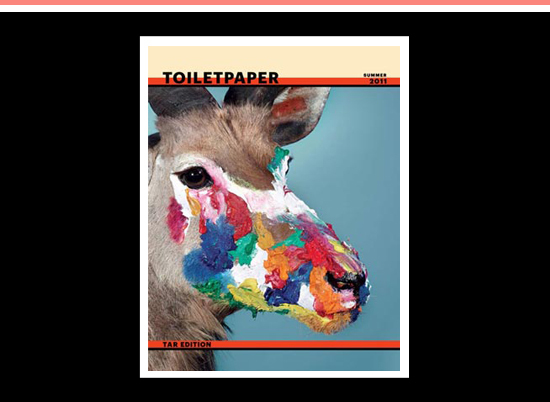 Artist Maurizio Cattelan is behind what looks like a terrific magazine called Toiletpaper. I can't wait to get my hands on a copy, which is proving difficult here in Australia. Sometimes distance is a curse. 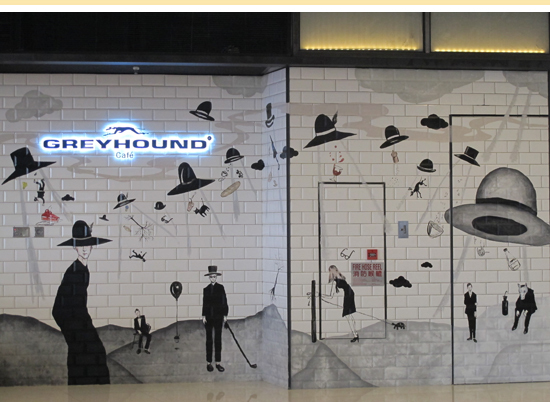 With time fast running out on a trip to Hong Kong, I stumbled on this mural before finding a buzzy café/bar that would have seen many return visits. A DJ played great music, the city and harbour were in view and the chocolate croissants were incredible. Before the holiday season kicked in, I stumbled on eight big fish like the one above, who were quite possibly standing in for Christmas decorations. 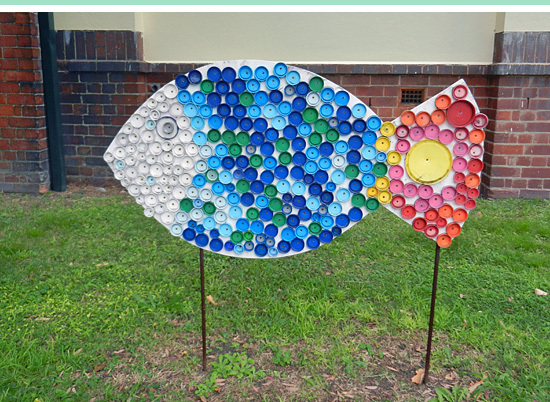 Made from plastic bottle tops, the vibrant fish were eye-catching in their artificial hues, and immediately loveable. My music tastes have always been squarely, and unashamedly, in the pop corner. 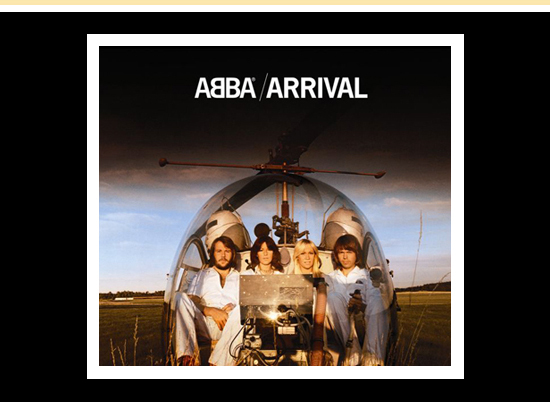 This summer my playlist seems to illustrate that clearly with the gorgeous Sophie Ellis-Bextor's Under Your Touch (from her recent very dancey Make A Scene CD), Abba's That's Me from Arrival and 1984 from Sneaky Sound System's recent offering. The groovin' continues with Chic's 1990s comeback single Chic Mystique, which in an odd way, segues neatly into Mark Ronson's Somebody to Love Me featuring Boy George's best vocal efforts since his brilliant, and overlooked album, Cheapness and Beauty. I'm loving Kasabian's Velociraptor! album, particularly the track Re-wired with its lazy rocky rift. It reminds me of TV on the Radio's staggeringly smashing Wolf Like Me, which I continually hammer along with Miss You by The Rolling Stones, You by Marcia Hines and On The Run by The Flaming Lips featuring Henry Rollins. The pace begins to slow with Cool For Cats by Squeeze, I've Committed Murder by Macy Gray, Roscoe by Midlake, Ode to Boy II by Alison Moyet and finally Crosses by José González. That's summer 2012. 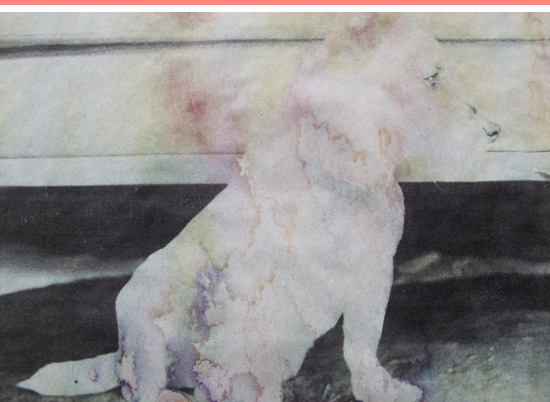 Once black and white, lost posters have embraced cheap inkjet technology to breathe new life into lost dogs, cats, birds and others through the use of glorious colour. The posters come into their own after a downpour, when colours run, merge and fade to produce watercolour-like paintings. 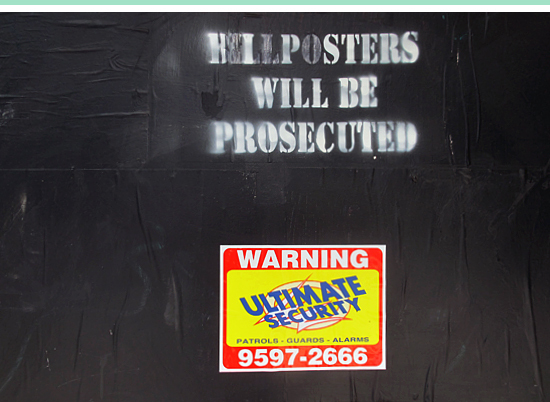 Gracing light and power poles around the world, these little works of art are reminders of how quickly things change. The little fellow above is called Paris, and depending on how you look at it, is lost or on an adventure somewhere in the Bondi Road area. Let's hope owner and pet have been reunited. 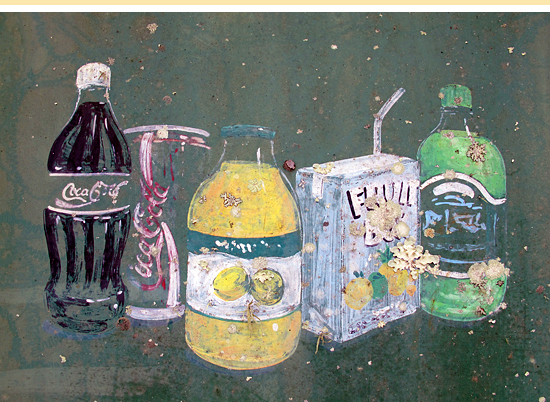 In the meantime, Erik Brunetti's collection of lost posters continues to charm many years on. I sometimes pass through what is becoming known as the Detroit end of Newcastle's Hunter Street. Up a side street not far from the largest KFC in the southern hemisphere — there's a feat — the building above sits. 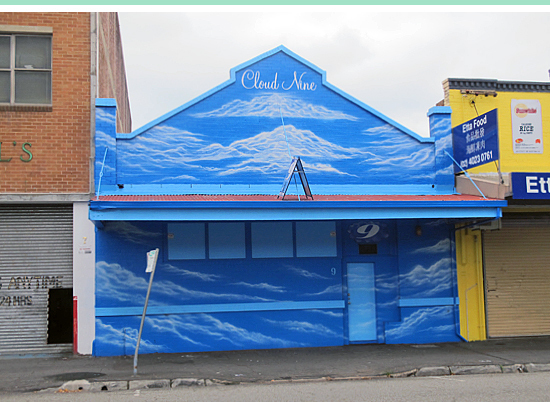 Obviously the painted clouds are clouds and not mountains as their structure suggests to me. I love the little a-frame sign on the roof, quite useful for passing birds I should expect. Pie Report. Lamb & Mint. Pies and pullovers —not the knitted variety— go hand in hand. 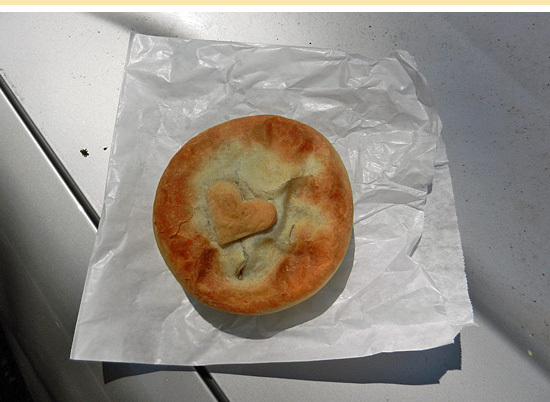 Stopped in a Newcastle park not far from Euro Patisserie, I slowly devoured my lamb and mint pie. The heart sitting atop the golden pastry was perfectly crafted, just like the delicious filling inside. A yummy offering.